The historical origins of the Cyprian Norwid Polish High School can be traced back in time to October 1940, but if we want to see things less as historians and more as observers, we need to accept that the Polish High School was an ontological reality, in other words a self-contained existence with neither antecedent nor consequent. The Polish High School did indeed exist as an entity, with a place in objective and dated history and events. However, to help elucidate its deeper identity and unique character, we have found a line by Stéphane Mallarmé in his sonnet, “The Tomb of Edgar Poe”. In truth, the disaster that was the defeat of Poland, and then of France by German troops was not “obscure”; it was as clear as the daylight shining across the devastation. A “calm block” on the other hand, is precisely what the Cyprian Norwid Polish High School in Villard-de-Lans was for six years, in more ways than one. It formed a physical block, standing straight and square in the Hôtel du Parc et du Château, twenty metres from the town hall. Its one thousand pupils and teachers formed a moral block, accomplishing a collective act of resistance - before the word even existed - against the occupier, and making a stand for universal freedom. It was a block forced upon nobody, but rather welcomed with good heart and understanding by the inhabitants of the plateau. 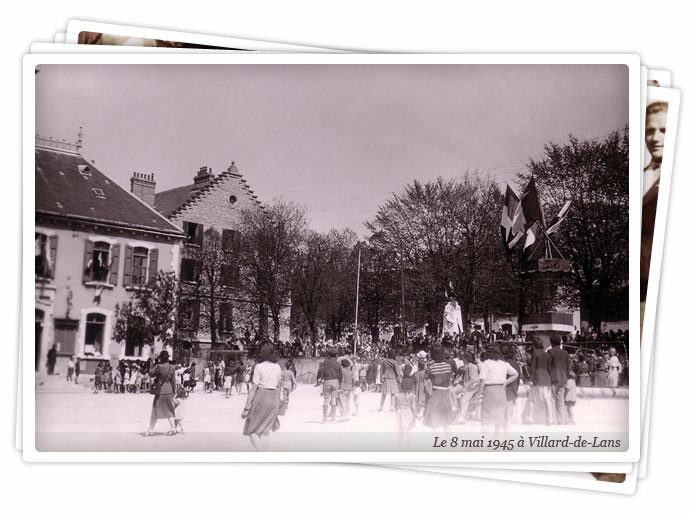 This “calm block” is part of the shared history of Poland and Villard-de-Lans who, hand in hand, made a date with History and met its challenge. We would like to share with you the adventure of this “school that was unlike any other”.